There is a wide variety of drug and alcohol recovery programs that can successfully help patients recover from their addictions. These programs can differ greatly in how they’re structured with some using a faith-based approach and others utilizing a more secular method. What all successful programs have in common, however, is that the effectiveness of the program is highly dependent on the willingness of the patient to perform the work required for recovery. Anything that makes the patient more comfortable with the program helps toward recovery, which is why some addicts prefer gender-specific programs or those that are geared to dealing with patients of a specific sexual preference. Any of these behaviors may indicate a drug addiction requiring treatment in a drug or alcohol recovery program. Recovery programs are split between an inpatient and outpatient approach. An inpatient program takes place within a recovery center where the patient lives during the recovery process, whereas an outpatient program is nonresidential with the patient coming to the treatment facility only to receive medications or counseling. Programs that are gender-specific or deal only with specific sexual preferences generally tend to be for residential patients. An inpatient program can provide a patient with extensive help, both through the detoxification period where the drug of choice is removed from the patient’s system and during the counseling period where the patient is provided with the tools needed to resist a return to drug use. Because of the length of time available for treatment on an inpatient basis, inpatient facilities are better able to deal with patients with special issues, including those who feel most comfortable in an environment geared toward people of a specific gender or sexual preference. Locating an inpatient program that offers such specific programs can be done quickly and easily by calling 1-888-319-2606 Who Answers? and speaking to someone who can help you find a program that fits your treatment needs. While the effects of drug and alcohol addiction may be similar among men and women, the path to addiction tends to differ between the genders. According to an NIAAA publication on gender and treatment services, women are less likely to seek help than men and more likely to feel shame for doing so. A treatment program that caters to women can help deal specifically with these feelings of shame as well as several other issues that are more specific to women patients. The same can be said for programs geared toward men, where treatment can be modified to deal with issues that are faced primarily by males who are struggling with addiction issues. A 2001 report from the GLMA stated that lesbians and gay men are twice as likely to report alcohol problems as heterosexuals. The comfort of patients during treatment is also an important part of the recovery process. 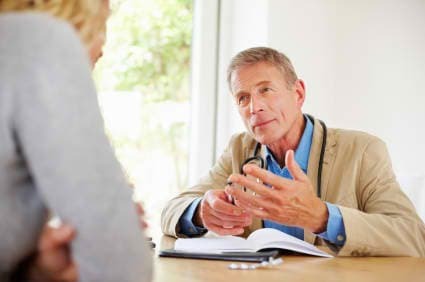 For the counseling portion of the treatment process to be successful, the patient must feel comfortable discussing any issues related to addiction. These discussions often include participation in peer group sessions. The more the patient has in common with the peers in the groups, the more that patient will often be willing to join in discussions, which can help with the recovery process. In a program for those of a specific gender or sexual preference, the peers not only share many of the same issues directly related to their addictions but they also share common general life experiences. For gender-specific programs, common factors shared by peers might include experiences as a wife and mother or husband and father. For those in a sexual preference recovery program, the common issues can include experiences related to dealing with prejudices and the drug-taking triggers that may have resulted. Shared experiences lead to openness in discussion, and treatment geared to people of a specific gender or sexual preference often leads those who may be reluctant to receive treatment in a mixed setting to finally seek help. While the effects of drug and alcohol addiction may be similar among men and women, the path to addiction tends to differ between the genders. Sexual preference recovery programs are also more likely to contain therapists who are accepting of the specific preference being treated. Just as with peer counseling, one-on-one counseling and therapy bbenefits from increased openness on the patient’s part. The more accepting the therapist, the more open a patient is likely to become. This openness speeds up the recovery process because the patient is better able to discuss the reasons behind the addiction and explore methods of resisting further drug use. Few actual differences are found in the rehab and recovery treatment process for specialized gender and sexual preference recovery programs. Inpatient recovery programs for specialized groups still proceed with a period of detoxification followed by counseling. The difference between specialized recovery programs and general mixed gender or preference programs lies in the customization of the program to deal more directly with the issues affecting each specialized group. By adapting the program to address these issues, it is better able to lead patients through the recovery process successfully, often shortening the time needed for recovery by enabling the patient to identify the triggers that lead to drug use and work toward overcoming the desire to abuse a drug of choice. Further information on specialized program availability and location can be gained by calling 1-888-319-2606 Who Answers? .